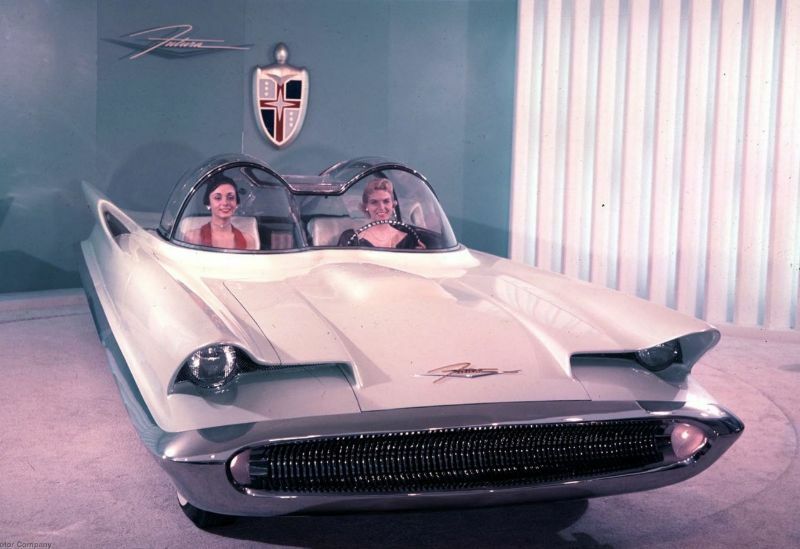 The Lincoln Futura was a concept car produced in 1954 as a single prototype. The following year, it appeared in multiple auto shows, where it made waves. Between pop culture appearances and its uniqueness, the Futura is one of those classic vehicles most auto enthusiasts would love to get a chance to see. 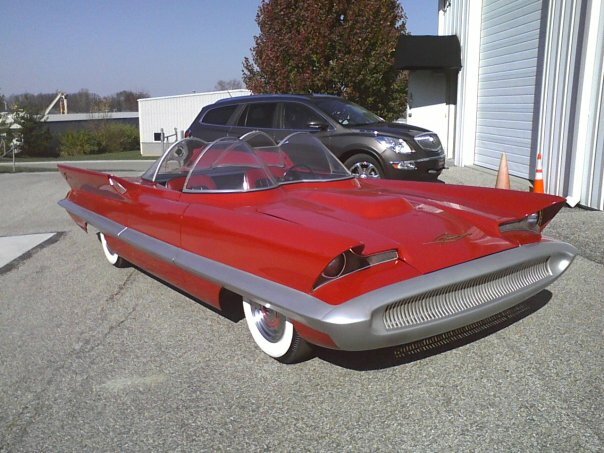 The Lincoln Futura was the work of the lead stylists from Ford, John Najjar and Bill Schmidt. Ghia hand-built the auto in Turin, Italy, which cost $250,000 at the time. To put that figure into perspective, the equivalent in 2018 would be $2.3 million. Between that price and the hand-built nature of the Futura, it is no surprise that only a single concept model was ever built. Oddly enough, the inspiration for the Futura came to Schmidt while diving in the Bahamas. He and Bill Mitchell, who was the second-in-command for GM’s styling team, were inspired by the sea life, particularly the shimmers of fish underwater. Interestingly, Mitchell’s inspiration led to the Corvette XP-755 Shark concept. Schmidt focused his inspiration for the Lincoln Futura and had already achieved a reputation for his styling talent by the 1950s. Schmidt created the concept as well as the initial design for the Futura. Other engineers and stylists assisted, and the creation of the design and finished vehicle were true team efforts. Overall, the Futura concept was unique – and not just because of its good looks. It was special in that when in motion, the interior was almost completely separate from the exterior. In fact, the aerial sitting on the trunk had a microphone, so the driver could hear sounds from outside the Futura. Additionally, the instruments sat in a binnacle in the steering wheel, which stayed stationary. The hubcaps also differed from other models since they did not have valve stem holes. Other unique features included the front-hinged hood and the console parting the bucket seats with a phone behind it. The Lincoln Futura went on to live a second life in 1966 when it was modified to become the Batmobile featured on the “Batman” TV series. This transition came about when George Barris was tasked with creating a theme car for the show on short notice. Barris felt that the Lincoln Futura was a great starting point, with its winged shape working well with the Batmobile of the comics. Barris worked with Bill Cushenberry, who oversaw modifying the Futura’s metalwork. 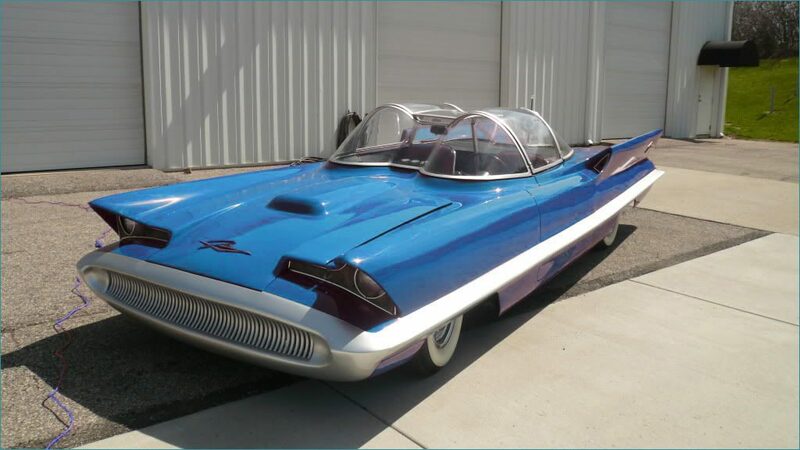 Although the Futura that became the Batmobile is one-of-a-kind, Barris did create three replicas from fiberglass using the running gear and frames from 1966 Ford Galaxies. 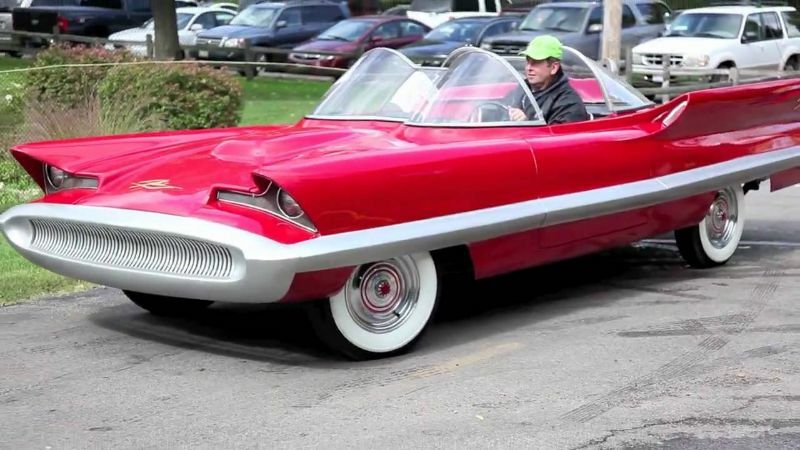 He later got a fourth replica that was metal and built from a 1958 Ford Thunderbird. Throughout the years, the Batmobile has been on display at various points. During the 1990s, Bob Butts got the consent from Barris to replicate the Batmobiles again, essentially copying the Futura. To do this, he actually used one of Barris’s own replicas and created a mold from it. 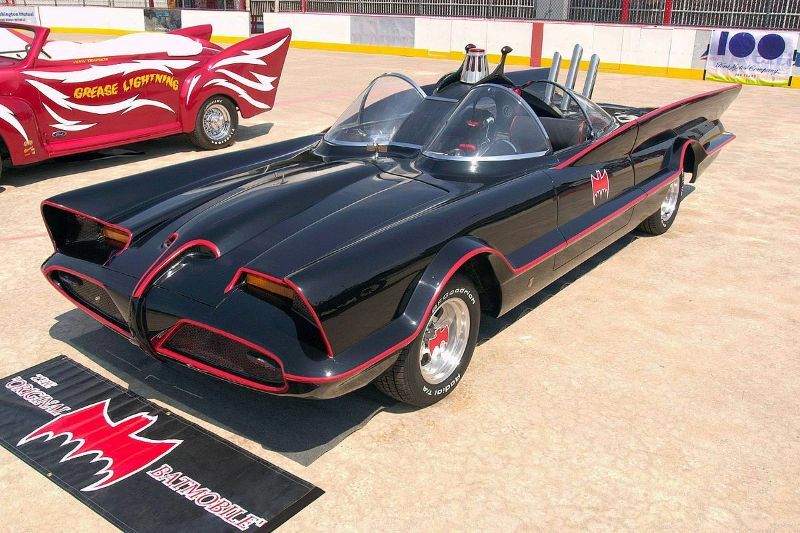 From there, Butts created the Batmobile replica, which he then reskinned into the Lincoln Futura replica.